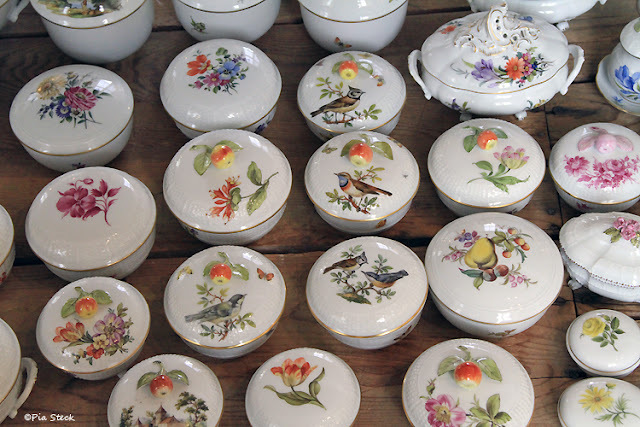 SichtBar: Habt ihr noch alle Tassen im Schrank? Hier ist das reduzierte Sammelsurium, das bleiben darf. Today only the German title makes sense and goes with this first photo. Not so the translation that would be something like do you have all cups in the cupboard? My book of American idioms told me to use: Do you have both oars in the water? I will not use because there is no relation to my post. So folks out there please take the German entry today. 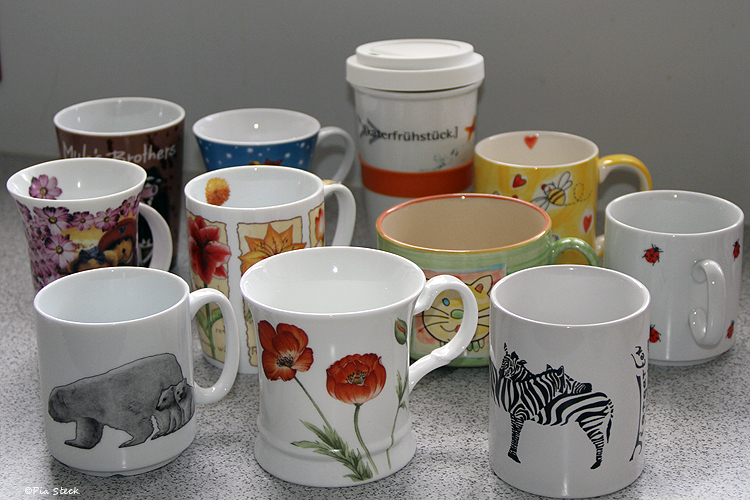 Here is the reduced mug-mish-mash that´s allowed to stay. Die "Vater"-Tasse ist abgenutzt, die "Mutter"-Tasse ist anscheinend vor allem im Schrank gestanden. The fathers cup is used, the mothers cup looks like it spent most time in the cupboard. Für alle, die genug Platz im Schrank haben, ich war in der Ludwigsburger Schlossmanufaktur und habe wuderschönes Geschirr entdeckt. For those who have enough space in the cupboard, I have been to Ludwigsburger Schlossmanufaktur and found wonderful flatware. Habt ihr oben meine schöne Mohnblumetasse gesehen? Habe ich mir letztes Jahr als Souvenir vom Ostseeurlaub auf Usedom mitgebracht. Sie war etwas preiswerter als diese hier. Eine Kaffetasse nicht ein Kaffeeservice. 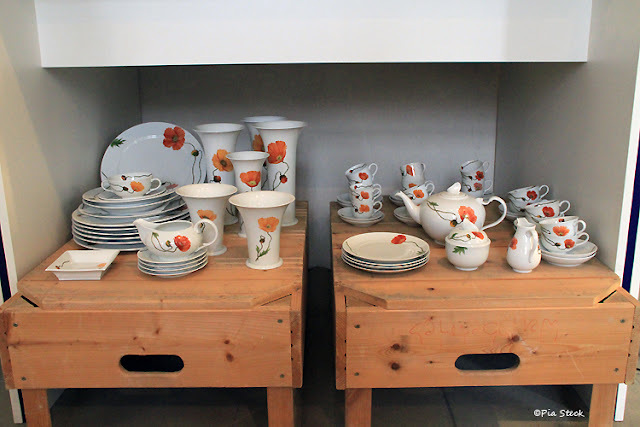 Have you noticed my mug with poppy decor above? 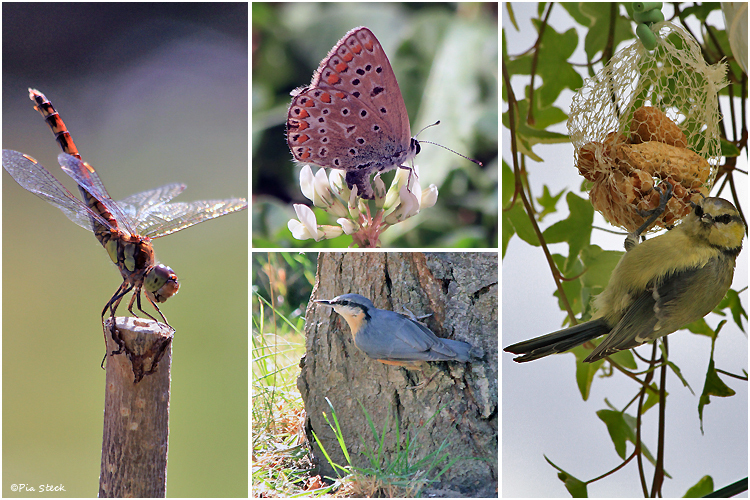 It´s a souvenir from last years vacation at Baltic Sea, Usedom. It´s a bit cheaper than those here. One coffeemug not one coffe set. Die Schlossmanufaktur Ludwigsburg fertigt Dekore auf Kundenwunsch. Frei von Hand gemalt. 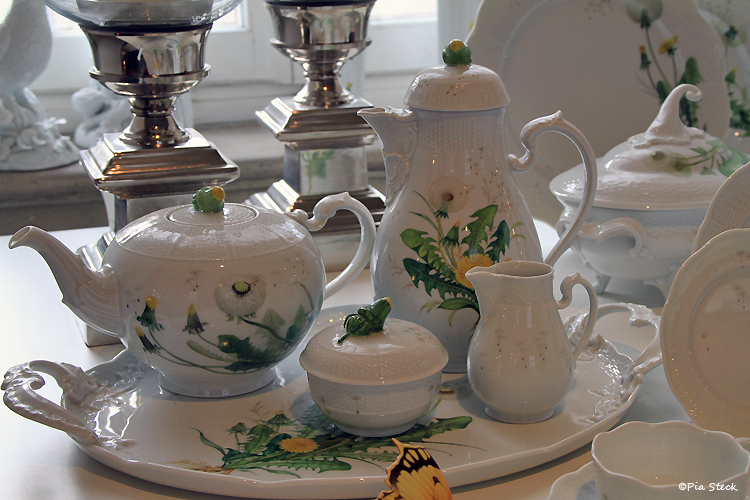 The Schlossmanufaktur Ludwigsburg manufactures decors on customers request. Hand painted. Here you see my porcelain of value beeing cleaned. (Of value meens with memories). 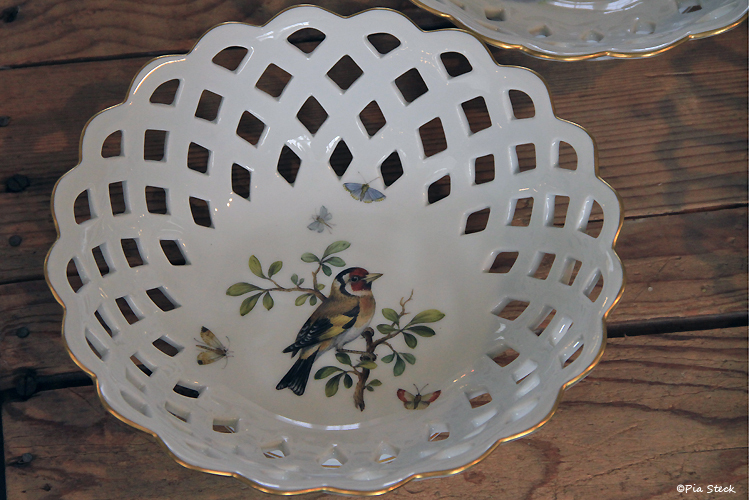 Unfortunately or fortunately only four very small pieces which only need small room for storage. Wie wärs mit einem Pferd fürs Esszimmer? 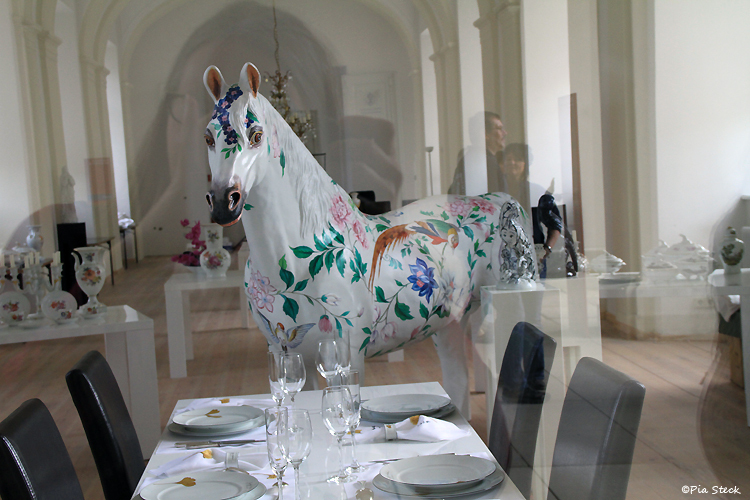 How about a horse for your dining room? Hi, Pia. I agree that having both of your oars in the water has nothing to do with your post today, although I may not even know what has to do with your post today. I'm going out on a limb (another idiom) and saying that it's your collection of mugs versus some that are for sale in a high-end shop. I think you have a lovely collection and I believe the poppy is my favorite. I think you should go to some site such as shutterfly.com and have some of your darlings printed on some mugs. 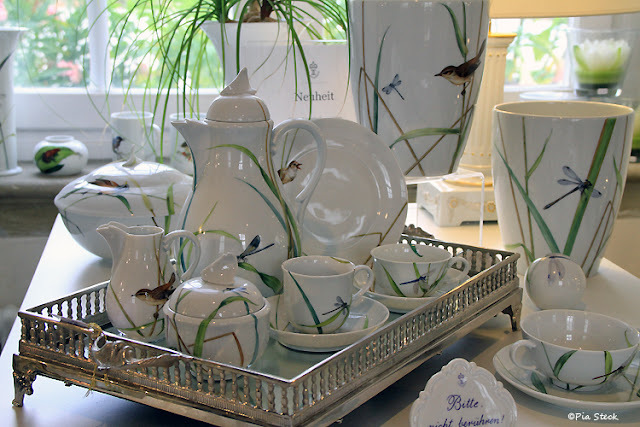 Wouldn't a collection of dragonfly photos make a wonderful coffee set? 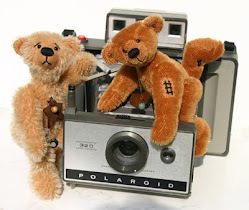 This post is great, and I like all your collectibles very much. Lovely photos! I have no space for that horse, but it IS very pretty!!!! 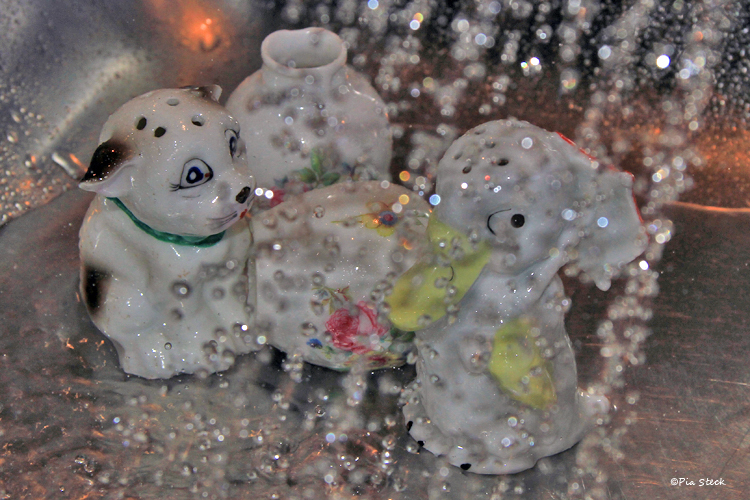 As for cups, my husband 'collects' them like candy. He has a cup for every day of the year. Well, not that many, but it seems so when we open the cupboard. Pia, I especially like the old family cups....they're incredible. ich sitze hier mit offenem Mund und staune über diese wunderschönen Geschirrsachen. Bei meiner Zweizimmerwohnung würde ich mich mal ganz spontan für das Pferd entscheiden *Kicher*! Auch Deine Tassensammlung ist große klasse, besonders die "Vater-Mutter-Tassen" haben einen ganz besonderen Charme, zumal sie ja zu Deiner Familie gehören und mit Tradition verbunden sind! Deine Post sind immer ein Urlaub für die Seele! Beautiful, such a nice variety and designs. es ist vieles mit viel Liebe zum Detail erschaffen worden, in so manchen früheren Porzellan-Manufakturen, und Du zeigst eine beeindruckende Serie. Such a beautiful collection of meaningful items. Dein farbenfrohes Geschirr gefällt mir. 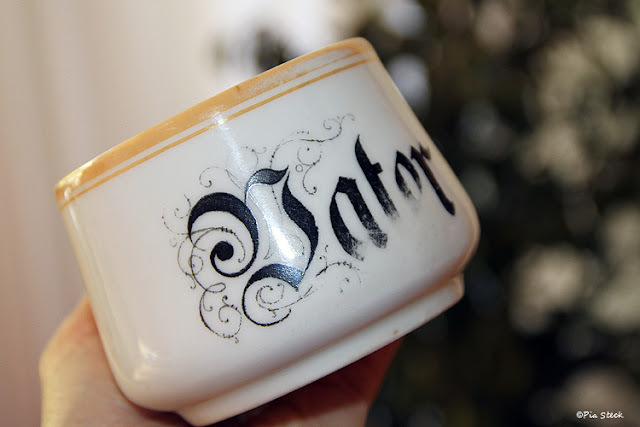 Deine Mutter/Vater Tassen sind etwas ganz besonderes. 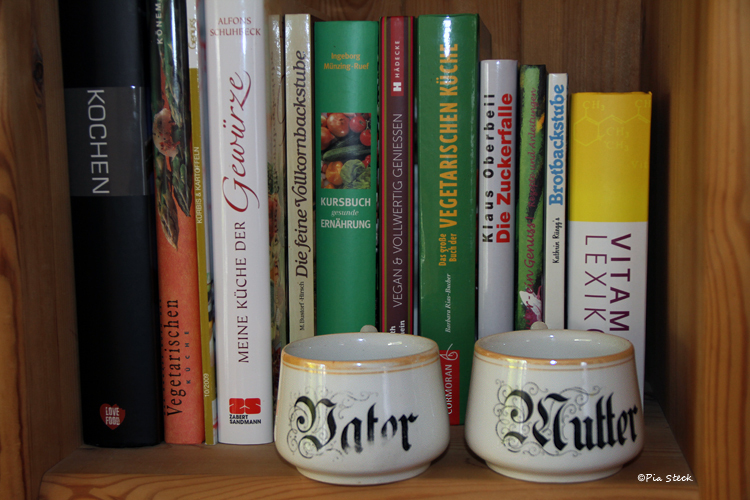 Man könnte jetzt eine Gewschichte erfinden, wieso die Mutter-Tasse noch so ungebraucht aussieht. Sehr schön sieht auch das andere Porzellangeschirr aus. wie konnte ich diesen Beitrag übersehen??? Wenn mal alle Tassen gleichzeitig in den Schrank sollen, wird es bei uns auch immer knapp und gestapelt. Ab und an trenne ich mich auch mal, aber so viele schöne Tassen wie du sie hast, habe ich nicht dabei. Aber definitiv 2 Lieblingstassen. Ich finde es wieder toll wie schön du die Tierfotos integrieren konntest und - öhm - ja - das Pferd würde ich nehmen :-) Die Vater und Mutter Tassen sind wirklich etwas ganz besonderes! you make me want a cup of tea! What an amazing collection of china images. The sets are very beautiful but the price is SO high! I've never seen a horse like this one either! The best ones are those which were your grandparents - very special.